In commemoration of the life and work of Dr. Joseph Carlebach (1883–1942) Universität Hamburg awards the Joseph Carlebach Prize. 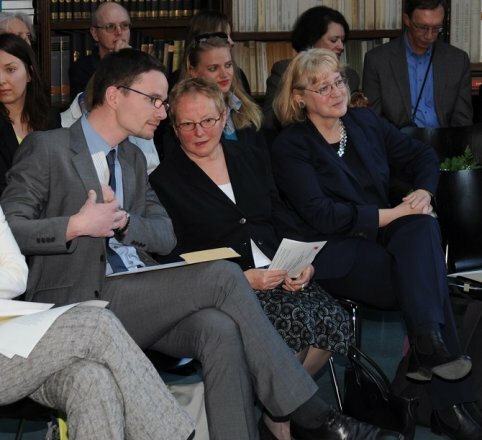 The award honors young researchers from greater Hamburg for their outstanding academic contributions to Jewish history, religion, and culture, in particular excellent course papers, degree theses, and doctoral dissertations. Prior to his deportation to Riga in 1941, Dr. Joseph Carlebach was the last chief rabbi of the parishes Altona and Hamburg. Introduced in 2004, the Joseph Carlebach Prize aims to keep Carlebach's name alive. At the same time the award is dedicated to the rabbi's daughter Prof. Dr. Miriam Gillis-Carlebach for her unrelenting efforts to encourage understanding, cooperation, and collective remembrance. Call for Proposals: The current call (PDF) is open until December 28th 2018. 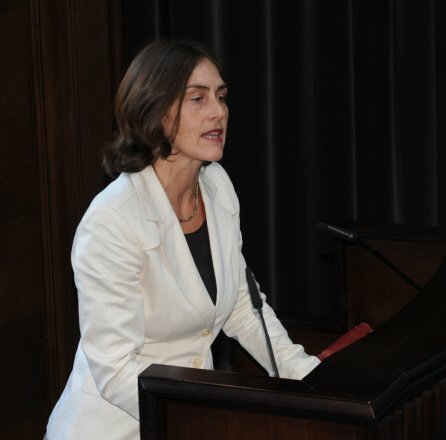 To everyone’s delight, Prof. Dr. Miriam Gillis-Carlebach attended the award ceremony in order to congratulate the recipients in person. 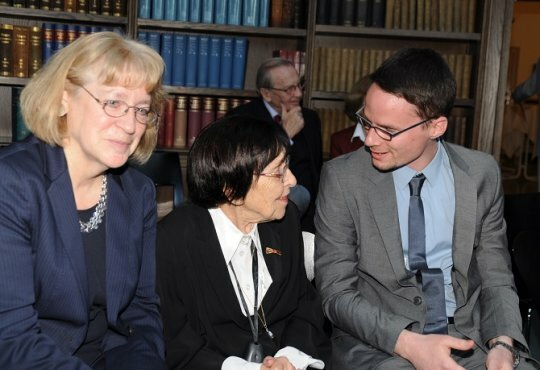 The Joseph Carlebach Prize is also dedicated to Dr. Gillis-Carlebach for her tireless efforts to promote understanding, cooperation and communal memory. 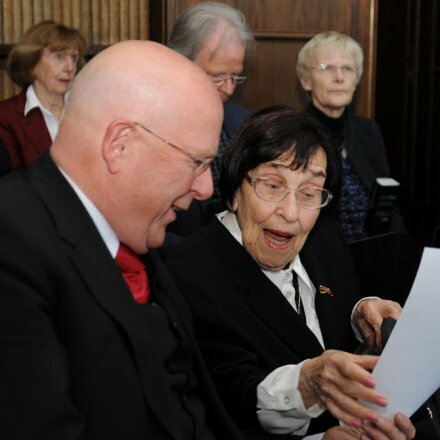 The president of Universität Hamburg, Prof. Dieter Lenzen, is delighted that he could personally greet Miriam Gillis-Carlebach – who is also an honorary senator of the University – despite airline strikes. 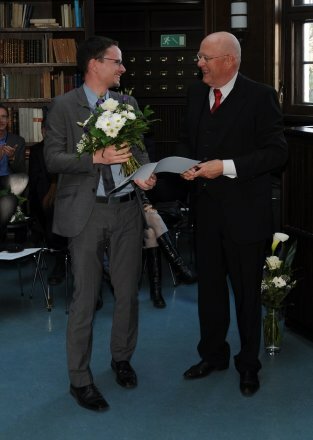 Sebastian Schirrmeister was awarded for his master’s thesis: “Das Gastspiel – Friedrich Lobe und das hebräische Theater 1933-1950” (seen here chatting with the president of Universität Hamburg). 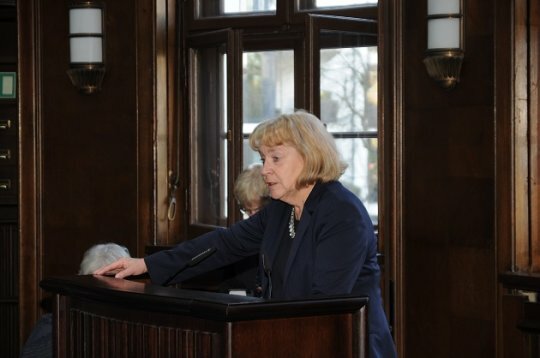 Prof. Barbara Vogel, spokeswoman for the University’s Joseph Carlebach Working Group, is impressed by the recipients, who faced strong competition. 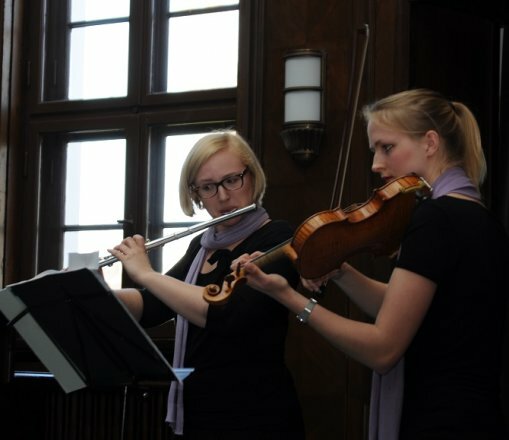 With violine and flute Pauline Renk and Katharina Sames created a solemn musical support (Telemann, Mozart) for the event. Self application is not possible. 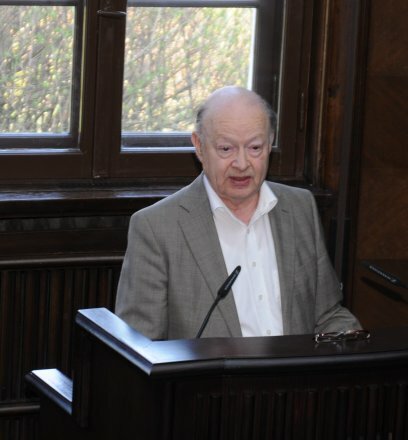 Recommendations for academic works have to be sent in by academic staff of Hamburg University. Proposed works must have been finished within the last two years. Proposals need to be thoroughly explained by the proposing scientists, naming also personal data of the candidate. The academic work recommended, a CV with current contact data, and the letter of recommondation have to be added.